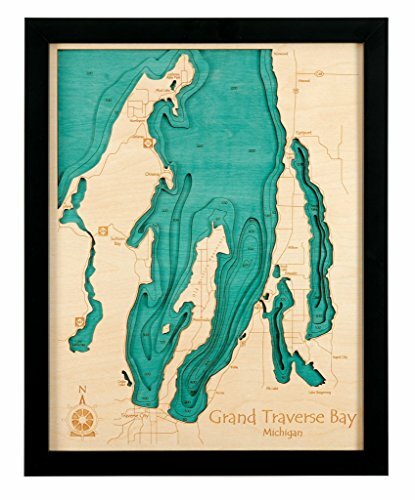 Drews Lake (Meduxnekeag Lake) in Aroostook, ME - 3D Map (Black Frame/No Glass Front) 14 x 18 IN - Laser carved wood nautical chart and topographic depth map. Guist Creek Lake in Shelby, KY - 3D Map 16 x 20 IN - Laser carved wood nautical chart and topographic depth map. Herrington Lake in Mercer Boyle Garrard, KY - 3D Map 16 x 20 IN - Laser carved wood nautical chart and topographic depth map. Lake Hartwell in Hart Franklin Stephens Anderson SC Oconee SC, GA SC - 3D Map 16 x 20 IN - Laser carved wood nautical chart and topographic depth map.